At Vox we’re committed to making sure that every well we install, retrofit or restore continues to work 24/7. Part of our sustainability infra-structure is check-maintenance reporting. 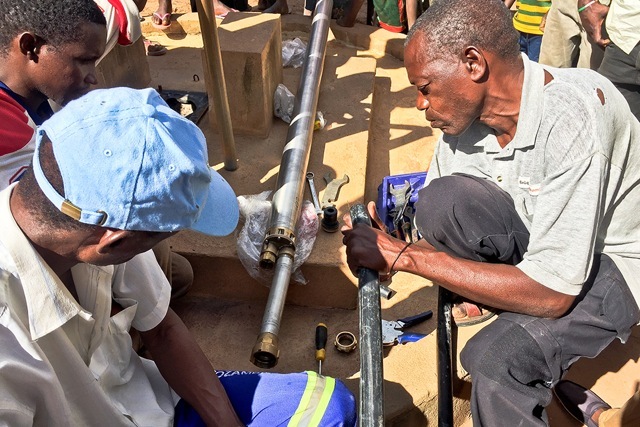 A recent maintenance report indicated that 3 deep wells (installed in Ngade, Mozambique last year) were no longer producing adequate volumes of drinking water. In response, Vox deployed a small mechanic team to investigate the situation. After a thorough analysis, hairline cracks were found in each of the metal cylinders. 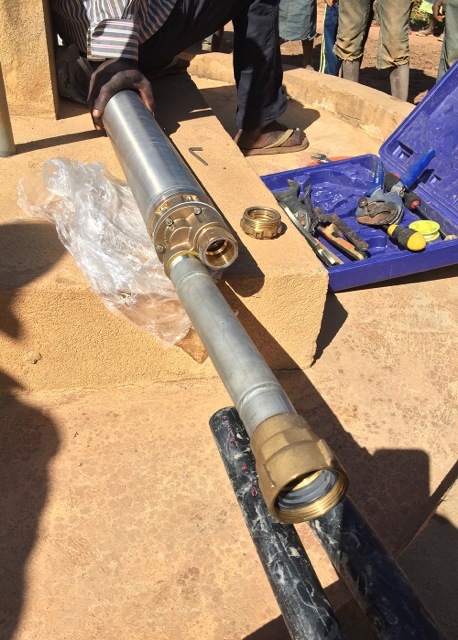 With the pumps being less than a year old, the manufacture agreed to replace the defective cylinders. 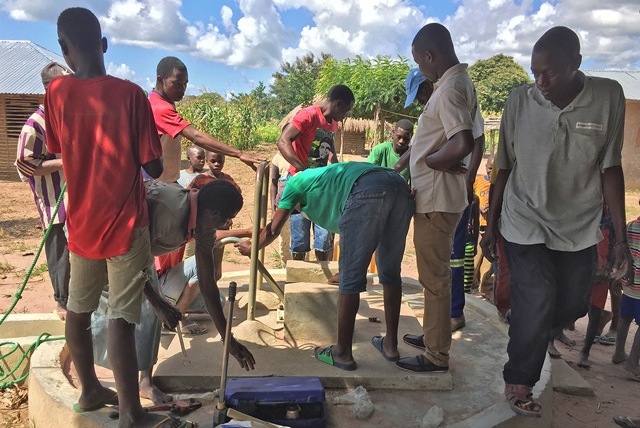 One of our teams met up this week in Ngade to swap out the parts. 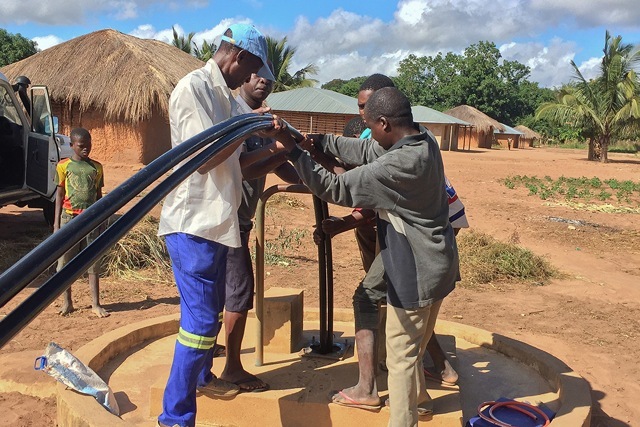 Each pump is now back online, working well and servicing the communities with high volumes of clean drinking water.